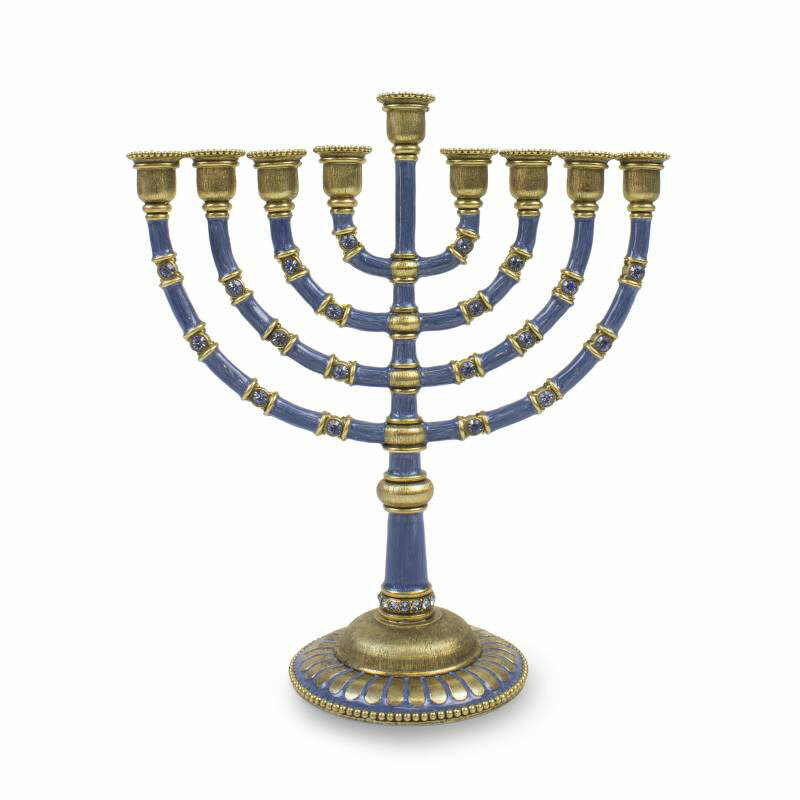 The Ariel menorah is hand painted with rich enamel, and embellished with Swarovski crystals. Alternating cobalt blue and gold painted pieces along the branches are the perfect stand for the gold candle holders. Dimensions: H 5.75" W 2.50" L 5.50"